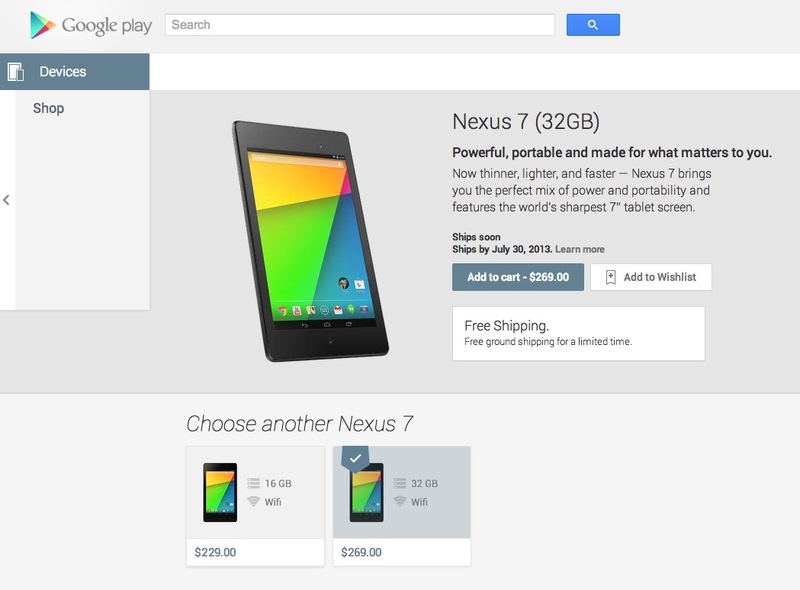 The Nexus 7, which technically doesn’t launch until July 30, is now available for purchase through Google Play. If ordered, the device won’t ship until the 30th, but you will get free shipping (3-5 days). Assuming you aren’t interested in ordering from Amazon or Best Buy (both of which have it available now), this is your next best option. Update: Staples is running a $30 off promo on tablets until July 28. May want to shop there first.